I can’t lie, there’s just something about a beautifully organized closet makes my heart go pitter patter. Not only does it make the closet look nice, but a good closet organization system is really key to helping the home run smoothly. 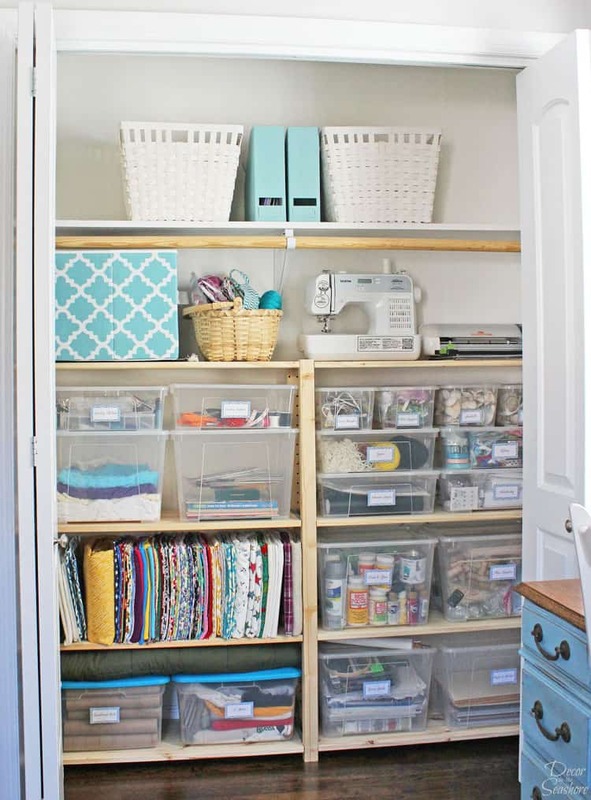 No more piles of random boxes and clutter falling out every time you open the closet door? Yes, please! Before the arrival of our baby girl, we had to do some creative rearranging and reorganizing of our home to make room for the nursery. One area that I INSISTED we get under control was the office closet, or rather the closet in our office that I commandeered for my craft supplies. Granted, organizing that closet was less related to the baby and more related to my general nesting and need for total home organization before this baby comes, but I digress. 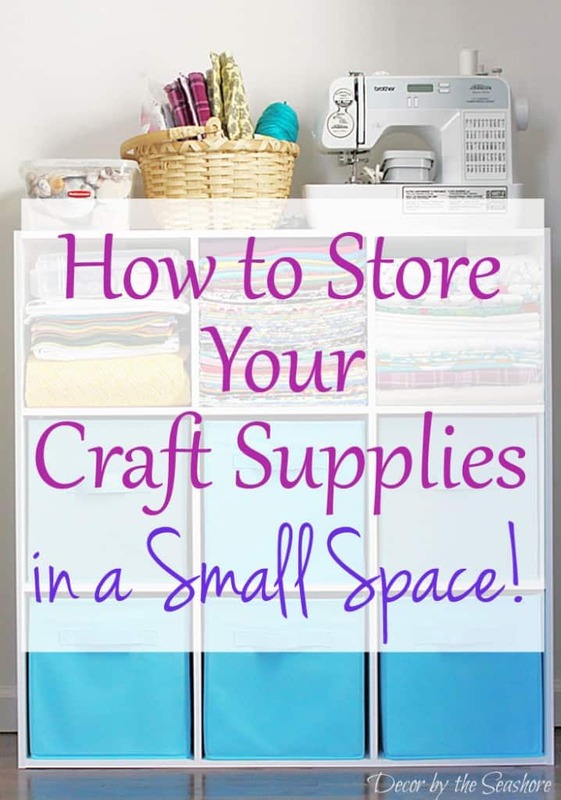 I already had a really good method for storing my craft supplies, but I figured out that there was more space in the closet that I could use if I planned it out better. Because you know I’m all about utilizing every square inch of space we possibly can in this house! So I did some measuring and spent some time searching online to find something super simple that we really didn’t have to spend a lot of time time installing or fussing with. Because with a baby on the way, ain’t nobody got time for that! I decided to go with Ikea’s Ivar system, because there are a lot of different sizing options, and the price definitely couldn’t be beat. (Just to note, this post is NOT sponsored by Ikea. I just love that they make it super easy to do projects like this without breaking the bank!) So after conning convincing my husband that we needed to go to Ikea, all it took was one shopping trip and I had everything I needed to completely organize the closet. Ikea has a huge variety of closet organization options, but I was looking for the easiest and most budget friendly solution. I didn’t want to break out any power tools for this project, and I didn’t want to have to wait weeks for it to be finished. I just wanted my closet organized and I wanted it organized NOW! To make this type of organizer fit in your closet, measure the length, width, and height of your closet. Don’t forget you’ll need a little space to get stuff off and onto the shelves! The Ivar system comes in heights of 49, 70, and 89 inches tall. The widths vary from 18 to 35 inches wide. You can combine several of the units to fit your closet width-wise. There are two shelf options to choose from that are 12 and 20 inches deep. When we went to Ikea, those clear Samla boxes were on sale, so I stocked up. I love how they align perfectly on the shelves and stack up together! The only thing I don’t like about them is the lids don’t snap onto the containers, they just sit on top. I didn’t realize this until I got home from the store, and by that time I just wanted to get everything organized and didn’t feel like making a trip back to the store. They work well as is, I just can’t overfill them and expect the lids to sit flat. So now all of my craft supplies (and then some!) fit perfectly on these shelves. And if there ever comes a time that we need to change this system, all we need to do is pull the shelving out and it goes back to being a regular closet with a clothing rod. 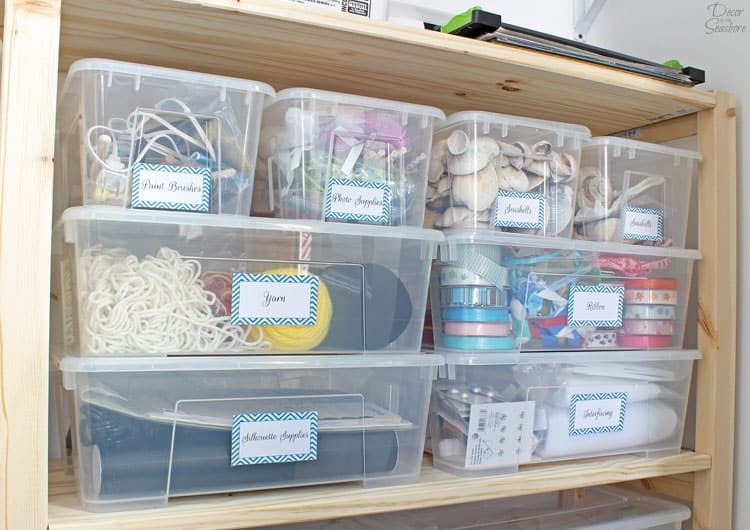 This storage system works great not just for craft supplies, but also for whatever you need to organize around the house! If you like the labels I used on the boxes, you can download them for free below! I created four different color options to choose from. You can print them out onto sticker paper, and then all you have to do is cut them out and stick them on your bins! Too easy! 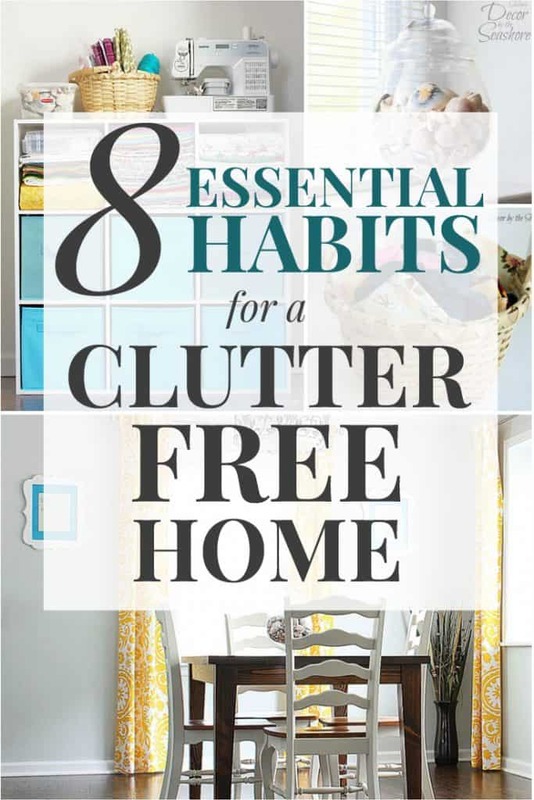 Are you ready to say goodbye to closets full of unorganized piles and boxes of random stuff, and hello to a beautifully organized closet? 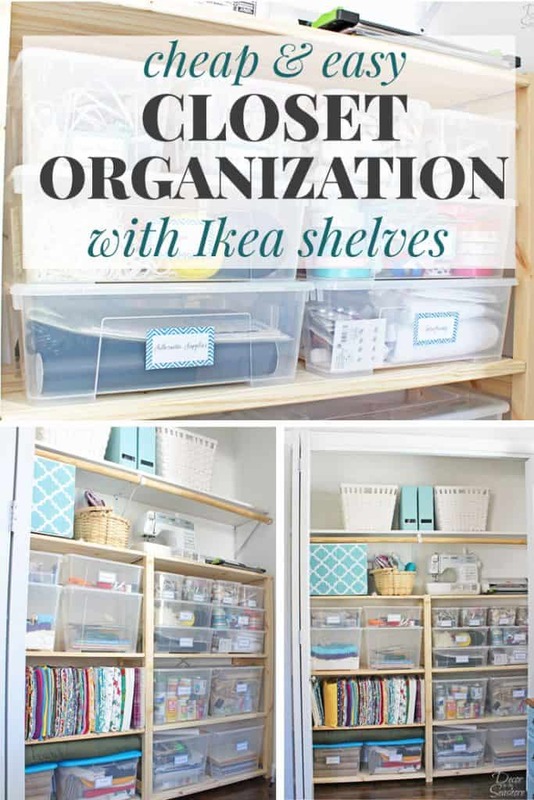 While this certainly isn’t the only closet organization system Ikea, or any other store, offers, it was definitely right for our home and budget. 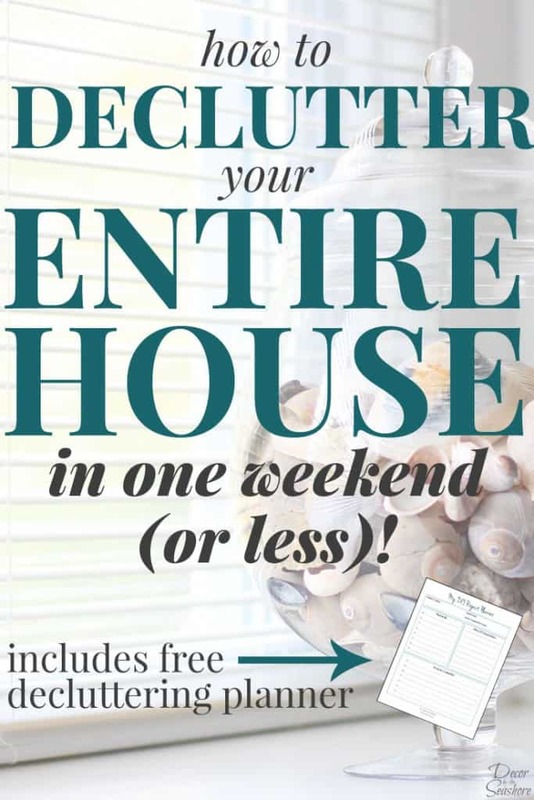 I encourage you to shop around and think outside the box when it comes to organizing your closet and home. Good closet organization is key to a home you can love and enjoy! Feel free to leave any questions about the Ivar system in the comments. And if you enjoyed this post, you’ll love my newsletter. Sign up below for weekly craft, DIY, and home projects and tips! Thanks so much for this information!! I believe this would save my sanity, have a similar closet and all this post help me a lot to figure out! 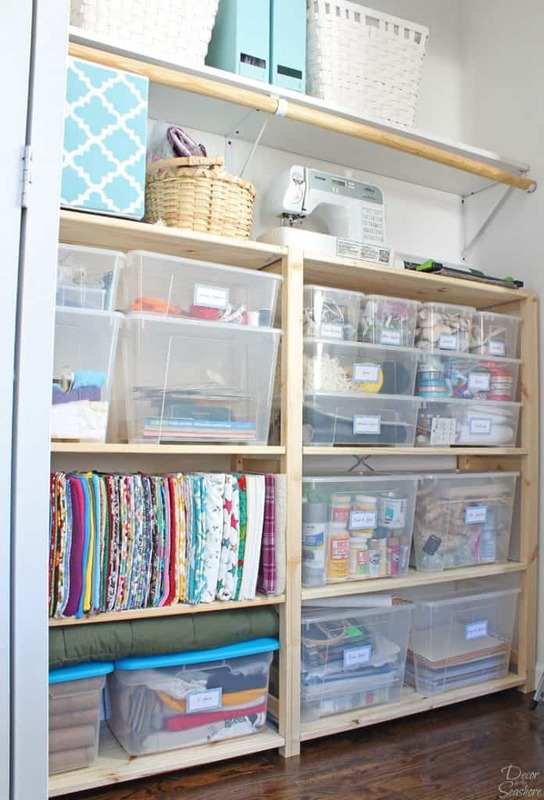 I’m so glad I found your post on the easy Ikea closet organization, it seriously transformed a catch all closet into what looks like a tidy craft store, hehe, happy dance, & hubby likes it too. I ended up with enough room for all my sewing machines, die cutter, steamer,. there’s no more stuff on the floor, big sigh of relief. Thank you for sharing! Very happy with the results, price, & easy assembly.